One of our more commonly sought after services is our Pet Odor Removal Tampa pre treatment. Our professional rug technicians clean and treat a variety of rugs from all over the world. These fine area rugs can be plagued with various issues, which typically need their own specific treatments. The most commonly treated rug issue is pet odor. We service multiple rugs weekly that have been affected by pet urine. Some of the rugs we receive simply have one smaller spot of urine that needs treatment, and some rugs come to our shop almost entirely covered in pet urine. Either circumstance produces a strong pungent smell that can radiate through your home, causing much frustration. Whether your rug is soaked in urine, or simply has one small pet stain, we have an extraction treatment, which yields great results! Our professional rug technicians are trained and experienced in a multitude of rug treatment methods used to attack almost any circumstance. Being that pet odor is the most commonly crossed rug issues; we have perfected an excellent pet urine removal procedure. Our Tampa pet odor removal process involves a full submersion rug soak for a few hours prior to beginning the actual rug washing process. We use a high-end solution, which works hard to break crystalized urine salt down into a liquid, which can then be drawn from the rug. Our special pet odor solution also helps to remove discoloration in your rug’s fibers that is caused by the pet urine. A combination of our pet odor removal treatment and a full immersion rug washing will typically yield fantastic results, leaving your rug looking, feeling and smelling new! Pet urine odor can be quite difficult to rectify in most situations due to the way it affects your rug. If there is a standard spill on your rug, the liquid will usually pool at the surface and give you plenty of opportunity to perform a quick surface cleaning. Blotting or dabbing the liquid right off the top of your rug is an easy and effective method for standard spill treatment. Unfortunately, this is not the case when dealing with pesky pet urine. Pet urine is much heavier than most liquids due to the microscopic contents carried with it. Acids, bacteria and salts are all expelled from within your pet’s body along with the urine. The heavy urine will quickly work its way down as far as it can, to the base of your rug. Once at the base of the rug, it becomes much more difficult to remove all of the urine. A simple blotting or dabbing with a clean rag will hardly be effective. Once the urine has reached the lowest part of your rug, it will embed itself into the tightly woven warps and wefts that combine with each other to make the base of your rug. As the liquid portion of the urine begins to evaporate, it will leave the heavier elements behind. The salts and bacteria that are left behind in the tightly woven base of your rug are your biggest concern. The salts will crystallize together, often trapping the bacteria with it. This is where that pungent, unwelcomed odor comes from. Unfortunately, this is near impossible to remove at home. Vacuuming or scrubbing will not solve the problem. Even if you thoroughly flushed your area rug at home, you would still need the proper solutions to be applied in the proper manner to neutralize the urine salts and bacteria. Without performing this procedure in the exact proper way, you will still be left with the urine odor as well as the stain. If you visit a local department store you will easily be able to find a number of on the shelf products that claim to be able to solve this pet urine odor issue. Any professional rug technician would tell you immediately to avoid applying any of these products to your area rug. Most of the products come in aerosol cans or can be liquid concentrates. They are almost exclusively made up of chemicals that are meant to be a harsh, reactionary treatment for your area rug. This can cause great damage to an area rug with soft, natural fibers, or an area rug that could be susceptible to dye transfer or color bleeding. When applied to an area rug, you may instantly be left with permanent damage. Whether or not the surface pile of your area rug shows adverse effects upon application of these types of products, they never actually provide full treatment of the base of your rug. Treating the base of your area rug is the key to solving your pet odor problem. 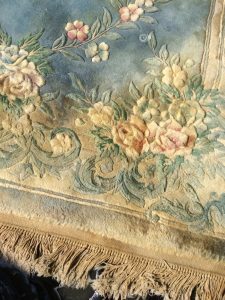 Upon arrival to our Tampa Rug Cleaning Plant, your area rug is inspected and tested for any preexisting issues, or issues that may arise during the washing process. If your rug shows signs of possible dye transfer or color bleeding issues, we have a pre treatment procedure to stabilize the dyes used in your area rug prior to the pet odor removal process. Any rips, tears or fraying would be addressed prior to the pet urine removal pre soak treatment. Our pet odor removal treatment is the last treatment completed just prior to beginning the actual immersion washing process. The pet odor removal process includes a full inspection, a full submersion pre soak in a special solution, a complete and thorough flushing of both sides of the rug and a post inspection just before beginning the immersion washing process. We stand by our pet odor removal process, as it is a process that we have perfected over many years of expert practice. Our staff and professional rug technicians are friendly, knowledgeable and here to help with any questions or concerns you may have. When the time comes that a pet odor removal treatment is needed, give us a shout. We are here for your service needs, or to simply help answer some questions you may have. 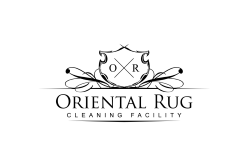 The Oriental Rug Cleaning Plant has what it takes to completely resolve your pet urine odor issues! While pet dander and pet urine are common issues in area rugs that we can thoroughly treat in our facility, there are times in which these odors can still reside within your home. Luckily, we can take the urine or dander affected rug out of your home and bring it back to our facility where we can perform the necessary steps to remove the bacteria and salts that cause the staining and odors to be so prevalent. But, the odors in question can actually be absorbed into any porous surfaces within your home. 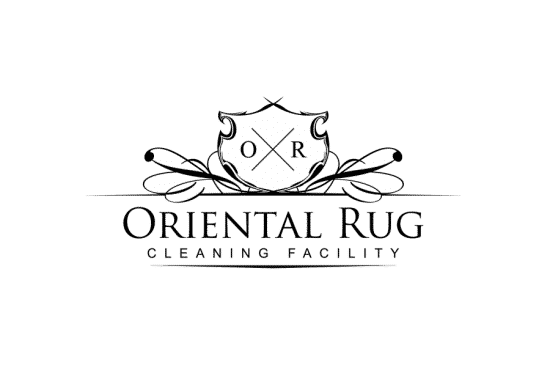 So, while the odor issues within your rug can be resolved by our professional rug washing technicians, you may still be stuck with an odor in your home. Surfaces such as your drywall, baseboards, tackstrips and even your hvac system can absorb and re-emit these pesky odors. If you have your area rug cleaned and treated to remove the pet odors and they still seem prevalent in your home, you may need to attack the other surfaces discussed to eliminate all persistent odors!